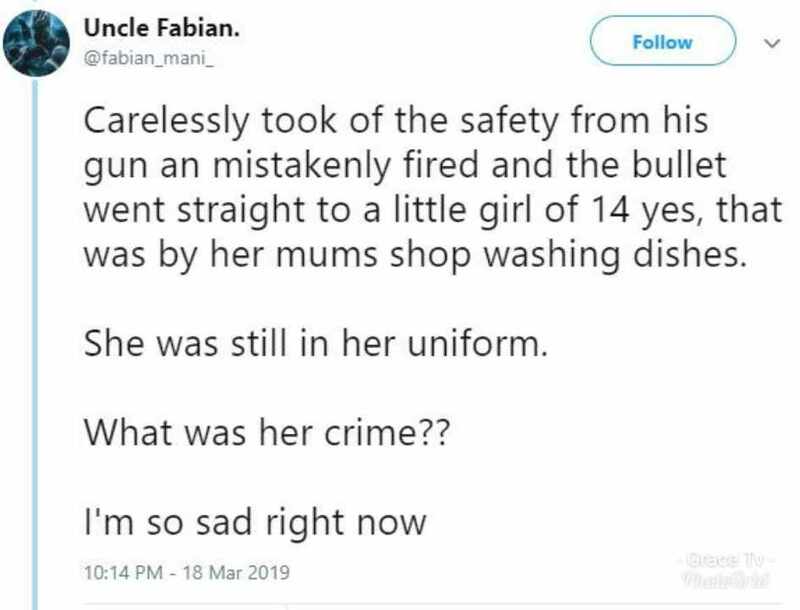 The Nigerian Police has come under fire on social media following the report by a Twitter user which alleged that a 14-year-old school girl who was murdered in cold blood by bullets accidentally discharged from an officer’s rifle in an unfortunate incident which occurred in Adamo area of Ikorodu yesterday evening. 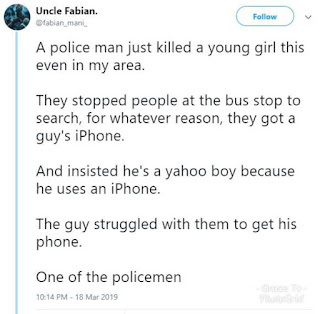 According to a Twitter user, Fabian Mani, the incident happened when policemen were raiding pedestrians in the area. 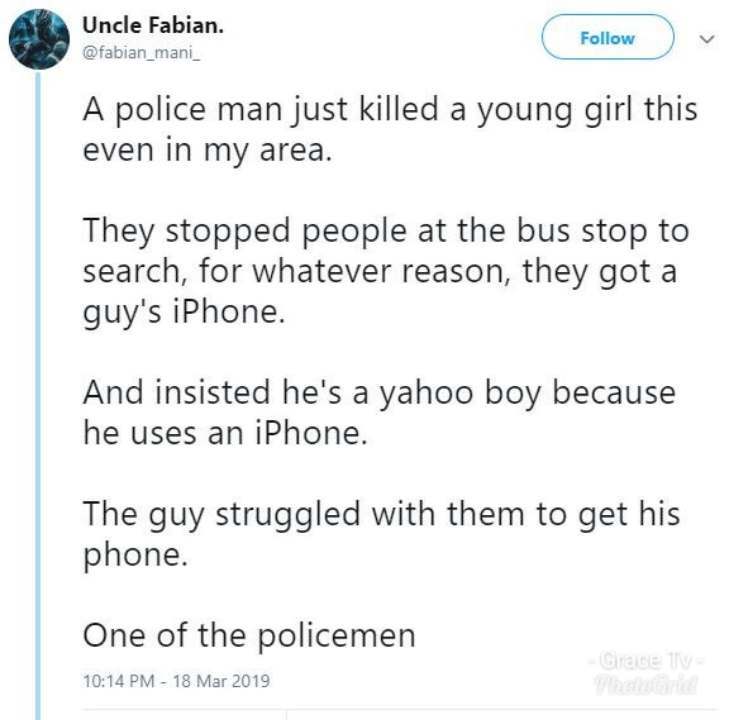 They accosted a young man who was being questioned on why he owned an iPhone if he wasn’t a ‘yahoo boy’. 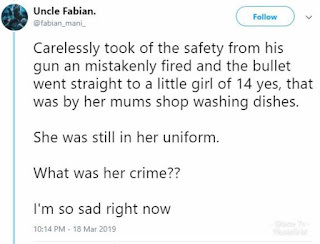 Aggrieved residents are also reported to have set the truck ablaze.